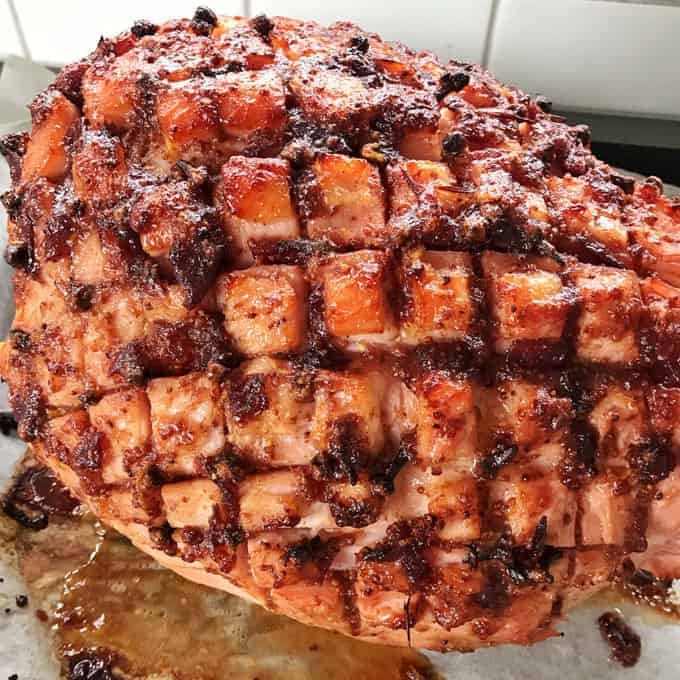 THIS CRANBERRY HAM GLAZE IS MY FAVOURITE CHRISTMAS HACK. 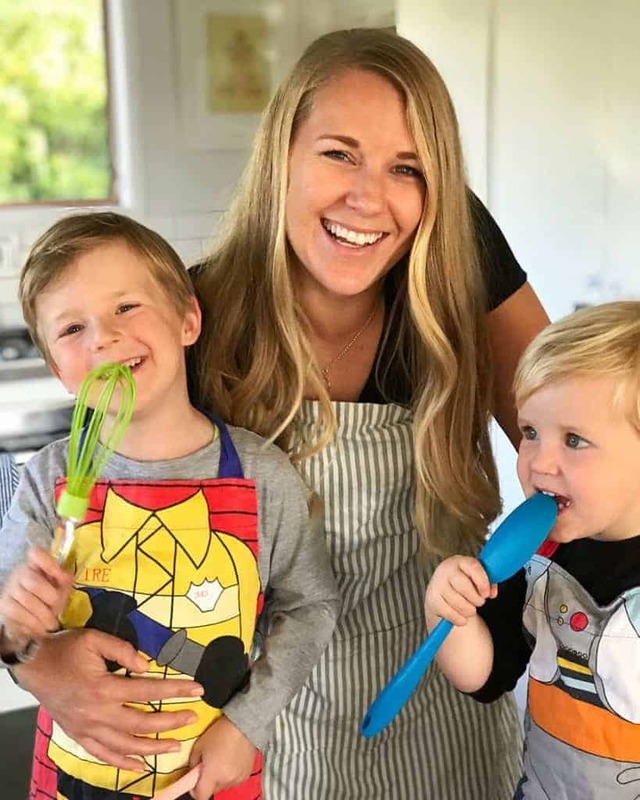 IT’S QUICK AND EASY WITH ONLY FOUR INGREDIENTS AND YOU CAN MIX IT UP IN LESS THAN FIVE MINUTES, PERFECT FOR YOUR CHRISTMAS BAKED HAM. 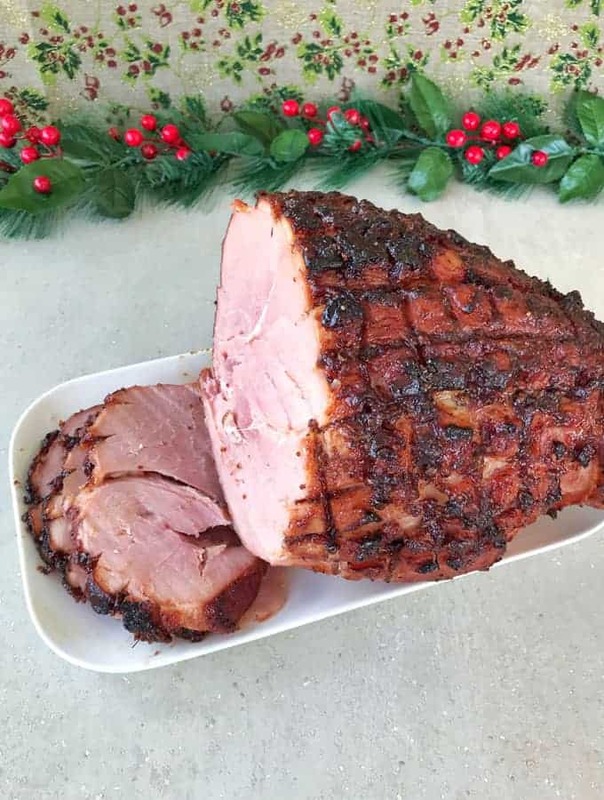 There is nothing like serving your guests a beautiful ham on Christmas Day and I can guarantee my five minute cranberry ham glaze hack will make yours so delicious. 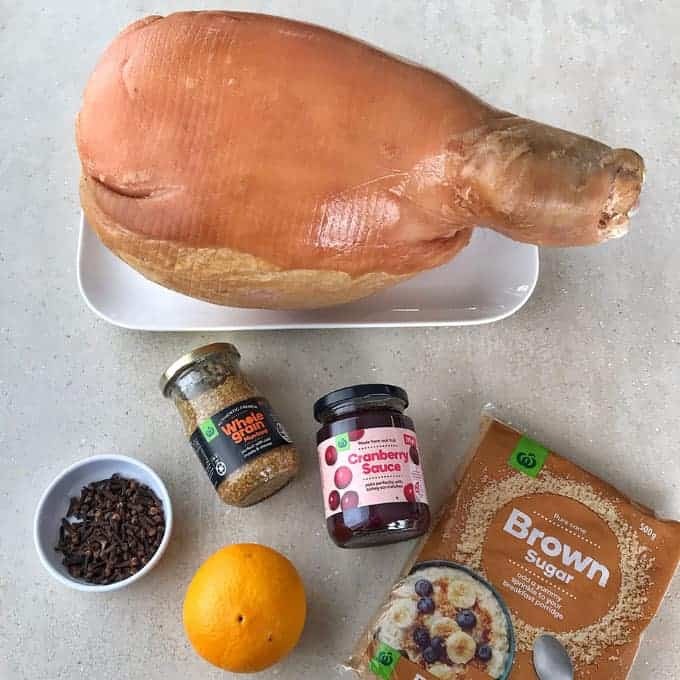 I popped into my local Countdown and picked up all of the ingredients for this delicious baked ham, there was a great selection of ham legs and half legs in different sizes. Also everything I needed to make this easy ham glaze. 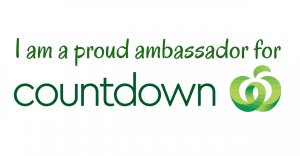 Countdown has everything you need to make an amazing Christmas meal, with a large range of their products on price lockdown which is great at this busy time of the year. This glaze only has four ingredients, to make it you add Countdown’s cranberry sauce, wholegrain mustard and brown sugar to a bowl. Then grate the orange zest and squeeze in all of it’s juice, mix everything together and it is ready to brush it onto the ham. 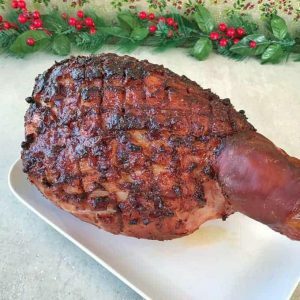 I wanted to show how easy it can be to make your own baked hot ham at home. Some people find it daunting but this glaze is so easy that anyone can do it. The trickiest part of preparing ham is removing the skin. To do this you make a large cut around the bone end then slowly run your hands underneath the skin to pull it off leaving the delicious layer of fat. After that you score the fat in a criss-cross pattern and put cloves in the intersection of each criss-cross. Once you have done this you can brush the ham with your delicious glaze. 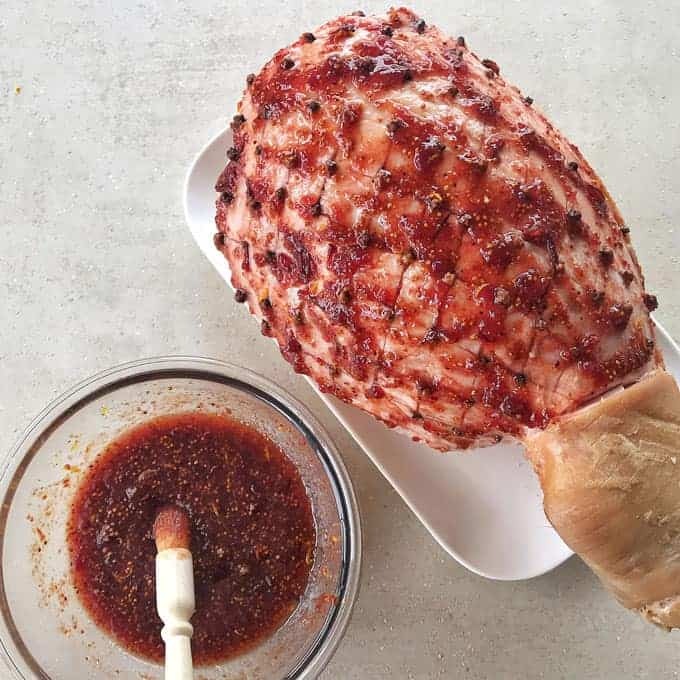 This glaze recipe makes enough for a 10kg leg of ham so use around half of it when you first brush it over then baste at least twice during cooking. Remember to slice the ham downwards so that each slice gets a thin layer of the delicious crispy cranberry fat. 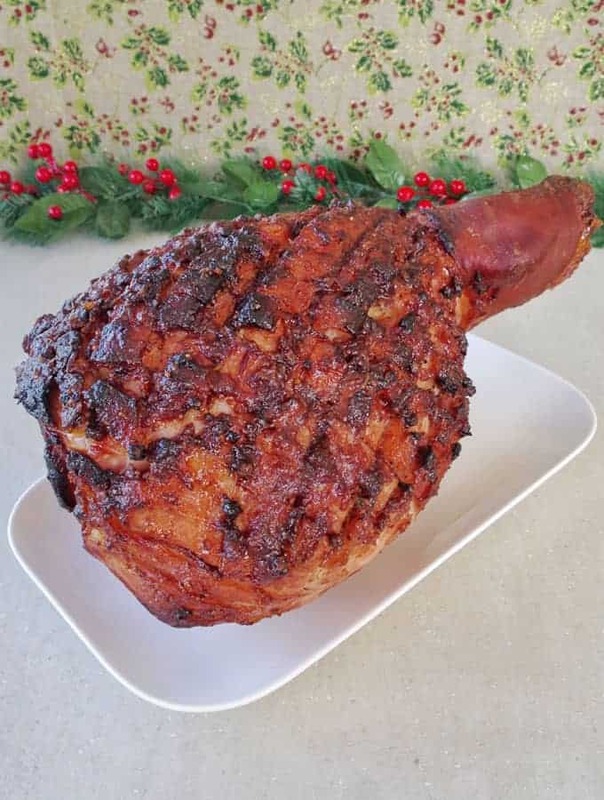 Thank you so much to Countdown for partnering with me to share this hot glazed ham for you to recreate and feed your guests this Christmas. I’m sure you will love this super simple recipe as much as I do, the cranberry and orange flavours are the perfect Christmas combo. Pre-heat oven to 170.C fanbake. 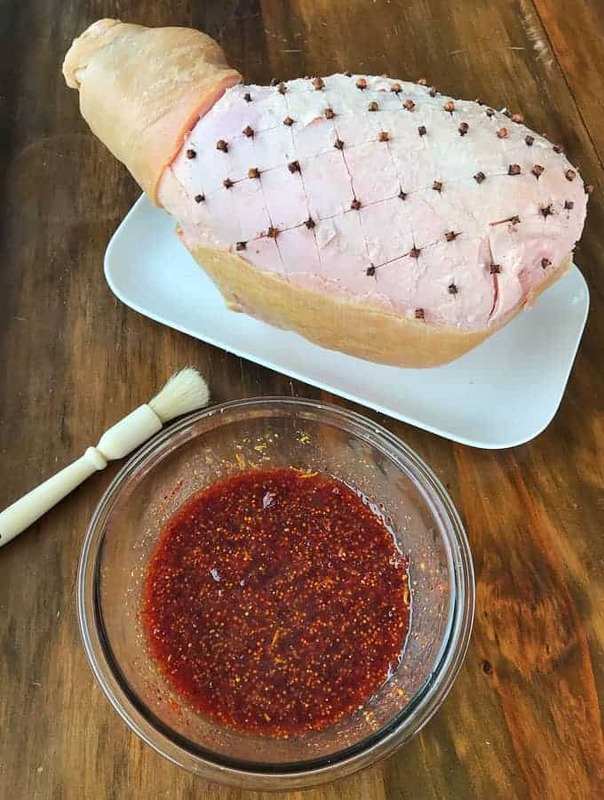 Prepare the ham by removing the skin, scoring the fat in a criss cross pattern with a sharp knife then putting cloves into the cross sections. To make the glaze add to a bowl the cranberry sauce, mustard and brown sugar. Grate the orange zest into the bowl then cut it in half and squeeze all off the juice out. Mix it all together then brush around half of the glaze over the ham. Place the ham in a tray lined with baking paper. Baste at least twice during cooking with the left over glaze, around every 30 minutes.